Dalila doesn’t like to put herself in the picture, unless it relates to her work. Her whole life she has presented herself with a focus on her hard work, instead of showing herself as an individual person. All her projects had one thing in common: food. During her studies, she got the chance to explore her other talents. She discovered that her projects, except 'Food,' also had something else in common; creating family for others. During her project 'Stil Leven', she found out that her vulnerability, her own lack of family, is a force which she can use to communicate her mission. 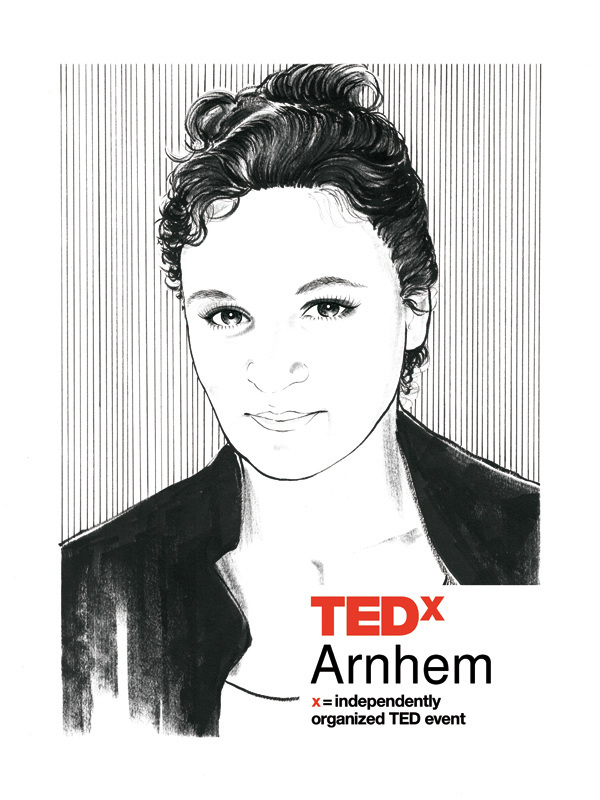 During TEDxArnhem she speaks up about her project 'Stil Leven' and about her personal struggles.